Eva Oller started practicing yoga in 1996. 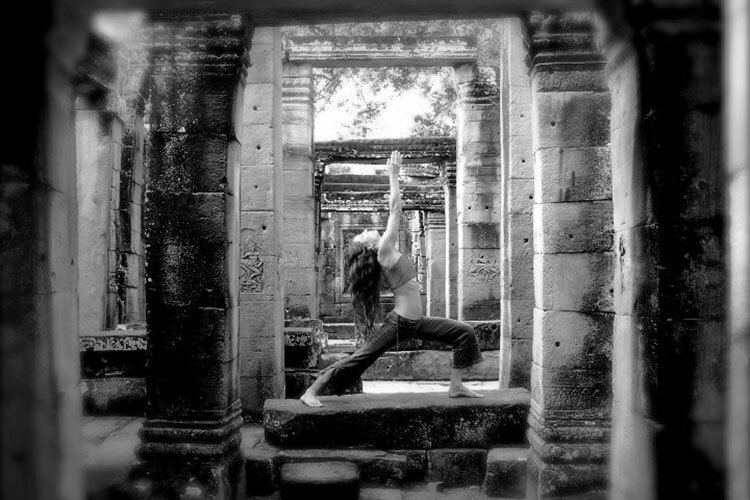 She is an Authorized Teacher of Ashtanga Yoga and Sivananda Yoga. She received the title of Ashtanga Yoga directly from the hand of the founder of the style, the legendary Sri K. Pattabhi Jois. From 2002 he moved to the city of Mysore in India for 10 years, in order to deepen the teachings and tradition of this deeply transformative discipline, both physically and mentally, and practice directly under the supervision and attention of Guruji and his family R. Saraswathi Jois and R.Sharath Jois. Eva is able to inspire and guide her students by fostering an in-depth understanding of the practice of Ashtanga Yoga and its more meditative and healing aspects. Eva stands out for its way of assisting and helping in the personal evolutionary process. In her almost 20 years of practice she continues to learn and share the wisdom of Yoga in a way that reinforces and inspires practitioners, awakening a deep love and respect as she feels for practice, adapting at all times to real needs and personal of each practitioner, providing a unique synthesis of Yoga, Philosophy and Healing. Deepening the magnificent connection between Body-Mind-Spirit through its daily practice is convinced that Yoga is the most complete exercise to maintain the body in the best condition of Health and Wellbeing and thus be able to receive and interact directly with the forces of life.